It doesn't take long for guys who are interested in old British guns to get involved with old British armored vehicles. The two go together like tea and crumpets (or so I've heard). One of the easist and coolest ways to get an armored vehicle you can live with is to buy a Ferret. 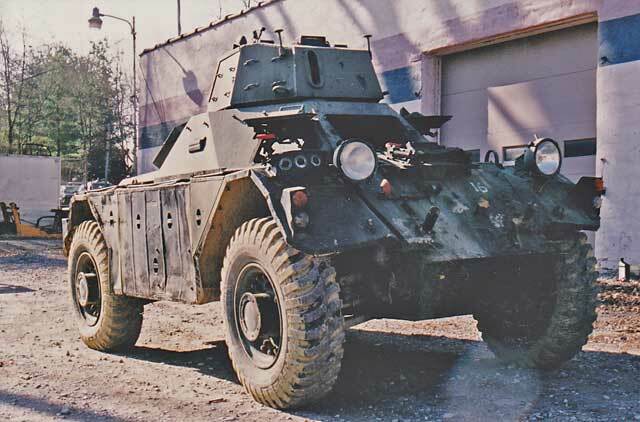 The Ferret armored scout car is an all steel welded up monocoque tub with a 6 cylinder Rolls Royce engine to replace the successful Dingo armored car used in WW2. The earlier Dingo was an armored shell dropped on a Humber 1 ton truck chassis sporting a Bren gun. The Ferret's design does away with the frame for a lower center of gravity and more compact arrangement. For a collector in the states who wants to drive an armored vehicle, the Ferret is a great choice because, as armored vehicles go, it's not that big. It also rides on 4 rubber tires, has turn signals, mirrors, windshield wipers and all the little bits that the Bureau of Motor Vehicles insist on. The Ferret was produced from 1952 to 1971, with a total run of 4,400 and were used by the British Army till after the first Gulf War. They were also used by the other Commonwealth countries, and may still be. The design and production was done by Daimler, as was the Dingo, and some elements persist. The vehicle not only has five speeds forward, but in reverse as well (important to get out of trouble as fast as you get into it). 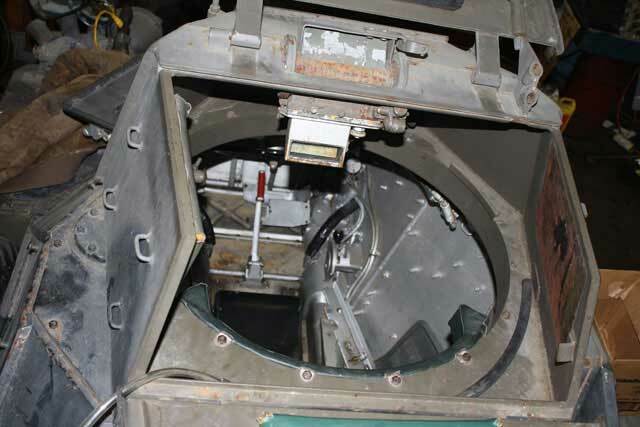 The Ferret scout car version carried a 30 caliber machine gun in a manually traversible turret, with a crew of two. The liason version had no turret, and a pintle mounted machine gun. The 4 1/2 ton machine can go 100 miles cross country on a 25 gallon tank. The Rolls engine produces 130 hp, and can almost push the scout car to 60 mph, which makes the Ferret a spiritual successor to the British Light Cavalry, and takes over the scouting and reconnaissance role. There is, however, no place in the turret to park your sword, however, you could stash your Sten subgun.